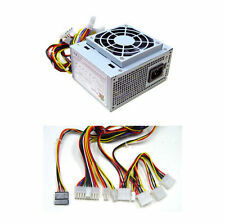 New 350W AP-MP4ATX30 MICRO ATX Power Supply Replace / Upgrade MTX35. Condition is New. Shipped with USPS Priority Mail. 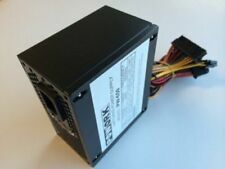 Power your platform with the 20 4-pin ATX power connector and 4-pin ATX 12V power connector. Connect a multitude of drives with three large Molex connectors, two SATA power connectors and a 4pin floppy connector. 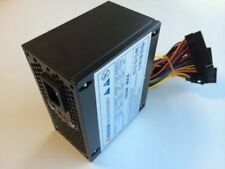 FREE upgrade to 350W if order receive by 3:00CST. Maximum Power. great communication. Product as described! Output connectors includes 24(20 4)pin, P4-12V 4pin, SATA II 15pin, Molex 4pin, and FDD 4pin. 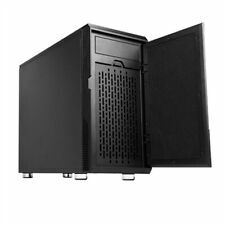 Used Thermaltake MicroATX Core V21 PC Case. Four SATA power connectors. 420-watts total power. Three large Molex 4-pin power connectors. One small floppy power connector. Power Specifications Sleeved cables for better air flow. Power cord. 7A (RMS) for 115 VAC. Motherboard: Micro ATX/Flex ATX. Form Factor: Slim uATX. New in box! 4 Pin Floppy Power Connectors. 20/24 Pin Motherboard connector. 4.92" X 3.94" X 2.50". 4 - 4 Pin Peripheral. Factor systems. With 400W of steady output power, lots of cable connectors and. Use for mining purposes is. small form factor system with a wide range of peripherals and versatile. Connectors: 1 x 20 4pin Main Power, 1 x 12V(P4/P8), 1 x PCIe 6 2Pin, 3 x SATA, 2 x 4pin Molex, 1 x 4pin Floppy. Problems with an order?. WE HAVE MUCH MORE that is not listed. 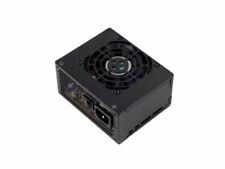 ￭ Supports standard SFX form factor and ATX via included bracket. ￭ Silent running 92mm fan (V3.0). 450W / 37.5A (V3.0). Load Range (V3.0). Form factor SFX. 110W (V3.0). Single 92mm silent fan (V3.0). Athena Power. Maximum Power. SATA Power Connector. Input Current. 1 x HP Video Power (4pin). Reset table power shut down. Short circuit protection on all outputs. 1 x AUX (6pin). ATX Connector 24 (20 4) Pin x 1. MTBF 100,000 Hours on Maximum Load at 25°C. Output Power. Current 13A 0.5A 9A 9A 13A 0.5A 2.5A. Active Power Factor Correction (PFC) - greater conversion efficiency. TOTAL OUTPUT POWER : 300W. Officially certified by 80plus to have TYPICAL EFFICIENCY of 87.03%, and AVERAGE EFFICIENCY of 85.53%. eMonster 500 /500A /550 /550R /600 /700 /800. Pulled from working MicroAtx build. 200 watts maximum output. Noise Level: Maximum of 32db at 100% system loading. Efficiency: 70% Min. at full load. WE TRY TO DESCRIBE THE PRODUCT TO OUR BEST KNOWLEDGE. THIS IS A THIRD PARTY 100% COMPATIBLE MODEL. 4x 4 pin Molex. 20 4 (24 pin) Atx. 1x 4 pin 12v. 1x HP video Power connector. 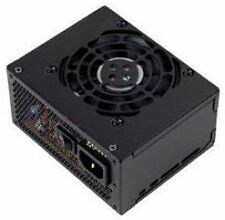 COOLMAX CM-300 is perfect for those with smaller computer cases - tiny in size, but huge in effectiveness with an anti-corrosive nickel plated chassis. The CM-300 is the ideal combination of power efficiency in a sleek body kit. The SX700-LPT marks another milestone in SilverStones pursuit of higher quality and more capable small form factor power supplies. 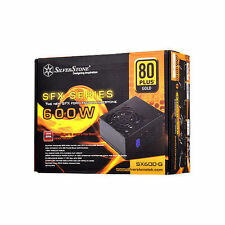 700W continuous power output rated for 24/7 operation. Silent running 120mm fan with advanced semi-fanless operation. The dual fans help keep things running cool! • One (1) SATA connector. • Dual fan. • Power On/Off switch. • Short circuit protection on all outputs. • Power cord. Vendor: Nspire. Chassis Type - Mini Tower. Pre-SCOTT ready MICRO-ATX / Mini Tower Case. Cooling Fan 90mm Fan x 1 installed. Front Ports - 2xUSB Audio. Key Features Front USB 2.0 x 2 HD Audio. DRIVE BAY -- 5-1/4" x 2pc EXPOSED, 3-1/2" x 1pc EXPOSED 3-1/2" x 2pc HIDDEN. Asus motherboards guard your PC with 5x protection. Series :ASUS COMPUTER INTL. Item model number: Q87M-E/CSM/SI. All-round protection provides the best quality, reliability, and durability.